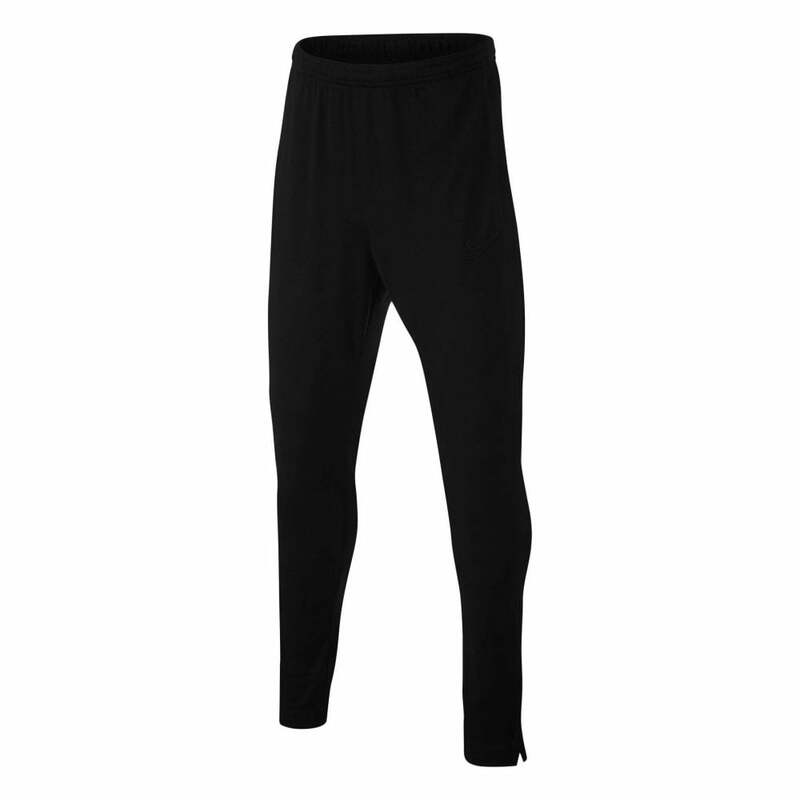 These Nike Dri-FIT Academy Pants are 100% recycled polyester and black in colour. They have a close stretch fit and an elasticated waistband with a concealed drawstring. They have a breathable mesh stripe on the sides. They have zip fastened pockets at the sides and they use Dri-FIT technology for a dryer, more comfortable experience. Nike branding appears embroidered on the leg in black.